The View of Delft is Vermeer’s largest and most time consuming work of his entire oeuvre, except perhaps for the elaborate Art of Painting. Since nothing has come down to us concerning the artist’s intentions in regards this or any other work, art historians have attempted to fill the gap. 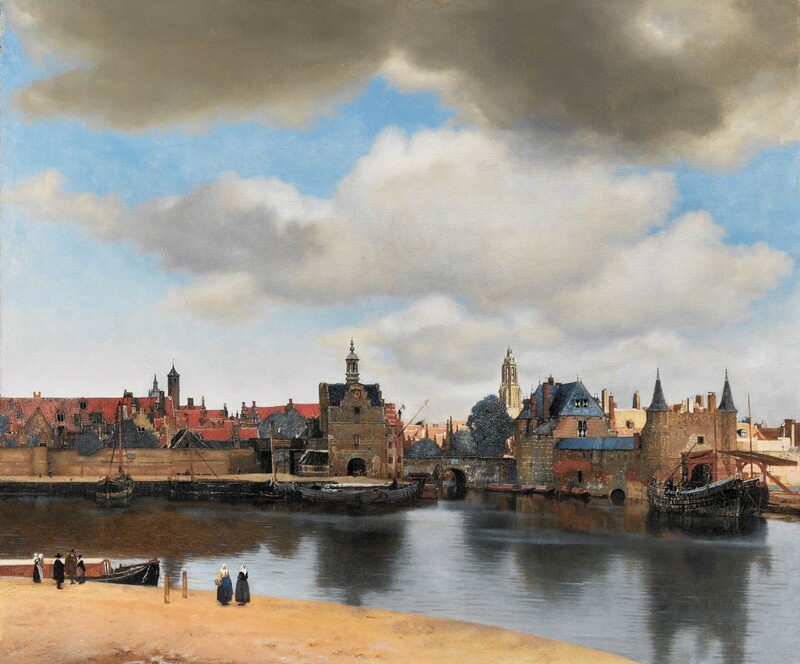 Walter Liedtke, for example, believes that the view could have been commissioned by Vermeer’s patron, Pieter van Ruijven who had collected more than half of the artist’s artistic production including the View of Delft. 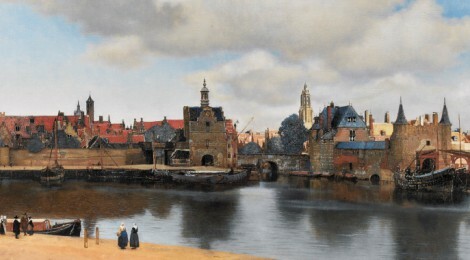 Furthermore, Liedtke points out that Van Ruijven’s collection contained three other small scale cityscapes of Delft by Vermeer as well as three architectural paintings by Emanuel de Witte, including a patriotic view of William the Silent’s tomb in the Nieuwe Kerk which Vermeer spectacularly highlighted in his view. Van Ruijven would have also been aware of the historically proclaimed relation between an artist’s reputation and the fame bestowed on his city. Dutch citizens strongly identified not only with their republic, but with their city of birth as well. Their civic pride is testified by innumerable Dutch cityscapes many of which are so similar to one another that they are virtually indistinguishable expect a few characteristic church towers or large civic buildings. Proust on View of Delft. Behind and to the left of the Rotterdam Gate is most likely the passage eternalized in writing by Marcel Proust in À la recherche du temps perdu. Proust describes an elderly writer Bergotte who visits a Dutch art exhibit and, while examining a detail of Vermeer’s View of Delft, falls ill and dies. That scene, that painting, described as a “Little patch of yellow wall, with a sloping roof” has attracted the attention of a multitude of critics. Bergotte’s final thoughts before dying, perhaps more than any other, faithfully reflect Proust’s idea of art.